When Ang Lee's Crouching Tiger, Hidden Dragon exploded into western cinemas five years ago, audiences and critics were understandably excited by this new take on the martial arts genre and the film's often dazzling action choreography. For fans of martial arts cinema, however, this was not such new ground. The Wu Xia sub-genre, a mixture of kung-fu, swordplay and fantasy, has its roots in Chinese literature and first found cinematic form in the late 1960s, most notably with King Hu's 1969 A Touch of Zen. For a sizeable portion of the audience that flocked to Crouching Tiger, however, this was their first exposure to it (hence the sometimes heard comment in cinemas "How come they can run up the walls?"). 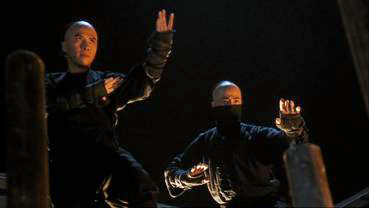 As for the choreography – well, from this point on simply having the name Yuen Woo-ping attached to your film was seen as a badge of action prestige. But once again, Yuen had been choreographing martial arts sequences since 1971, acting since 1965, and directing since 1978. For martial arts movie devotees, the biggest surprise delivered by Crouching Tiger was that it managed to connect so effectively with a more mainstream international audience where its predecessors had remained in the world of the cult. Made seven years before the genre moved into the mainstream, Iron Monkey can retrospectively be seen as a work that marks a midway point between the kung-fu films of the 70s and 80s and the elaborately shot and styled Wu Xia works that were soon to follow. The balletic wire-work, gravity-defying leaps and quicker-than-the-eye fight choreography were all pointers of things to come, but the obviously post-dubbed dialogue and exaggerated sound effects are rooted firmly in the heyday of the Shaw brothers and Raymond Chow, while the comedic interludes acknowledge the influence and success of Jackie Chan, Sammo Hung and their contemporaries. Although constructed in part through editing and wire work (and occasionally very evident speeded-up motion), the action sequences, which are a kung fu film's raison d'être, are very impressively and often inventively choreographed and staged, with a variety of objects – from poles to pots to clothing and umbrellas – employed as weapons that are juggled, spun, thrust and hurled at opponents. All four leads get at least one show-stopping action scene, and the climactic battle, fought with the three protagonists balanced on top of flaming bamboo poles, has already become part of genre legend, its wire-assisted leaps never detracting from the sheer spectacle of the piece or the athletic abilities of the performers. Surprisingly, though, the film's most quietly memorable and imaginative sequence is not a fight scene at all, but one in which Dr. Yang and Miss Orchid collect wind-blown papers via a series of gracefully executed leaps and tumbles. Lighting, photography and production design provide a rich setting for the action to play out within, and the martial arts skills of stars Rongguang Yu (as Yang/Iron Monkey) and Donnie Yen (as Wong) are well showcased, though it remains a mystery why young Tsang Sze-Man (and yes, she's a girl) never appeared in a another film after her impressive turn here as Wong's son – if ever there looked to be a future martial arts star in the making, it's here. But it's certainly Yuen Woo-ping's show, with his choreographic skills investing every scene with a visual dynamism, while his direction keeps things moving at a pace that rarely allows the audience time to wonder about the daffier aspects of the plot. While Ong-bak has re-grounded kung-fu films in their wire-free roots, Iron Monkey remains a thoroughly engaging work that fully justifies its position as a genre leading light. It may lack the epic spectacle of Crouching Tiger and Hero, but as unpretentious and sometimes spectacular fun, it's a clear winner. Framed 16:9 and anamorphically enhanced, this is another largely fine transfer from Hong Kong Legends, with colour and contrast very pleasing. Sharpness is very good, though edge enhancement is detectable in places, especially areas of complex fine detail (materials, some textures). Some compression artefacts are visible in night skies, but are not intrusive. There is a choice of Cantonese soundtracks, though the only real difference between the 5.1 and DTS is one of volume. Mainly front weighted, there is some minor rear speaker activity for atmos effects and music. The English dub was no doubt prepared for the American release and is pretty horrible. A Bey Logan commentary is always welcome, but here he's joined by the film's co-star Donnie Yen which, ironically, provides considerably less information on the film than you would normally find in Logan's solo commentaries. This is mainly due to the conversational nature of the track, with the two cheerily exchanging memories and anecdotes that are often not screen specific and sometimes have nothing to do with the film under discussion. That's not to say it's a naff commentary, not by any means, as the two have plenty of interesting and amusing stories to tell. I certainly learned a few things, not least that Logan was once employed briefly as Yen's bodyguard, a duty he had to interrupt at one point to fulfil impromptu karaoke duties. Particularly interesting is Yen's feelings regarding the wire assisted aerial capabilities of characters in martial arts movies – the further back in time the setting, he reasons, the higher they can leap, and if you go back far enough they can actually fly. A rare inclusion has selected sequences from the above commentary presented visually as A Classic Re-Visited (21:03), with video footage of Logan and Yen recording their comments playing side-by-side with the film sequence under discussion. This is of some interest if only to watch something you usually only get to hear, but provides little information that could not be gleaned from the commentary proper, save for Yen's lightning-speed punch to Logan's face at the end (he missed). The Interview Gallery contains interviews with four of the film's key figures. 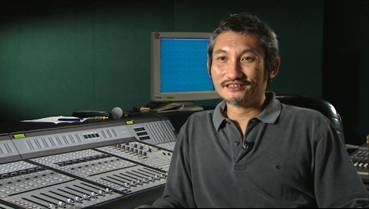 Guiding Light (24:36) is an interview with the film's producer and a genre god, Tsui Hark, who discusses the genesis of the Once Upon a Time in China series, his work on these films with Yuen Woo-ping and the development of the Wong Kei-Ying character. He also talks about Iron Monkey's initial box office failure and its eventual more widespread success. Conducted in English and anamorphic widescreen, Hark is a consistently fascinating talker, which just adds to his genre status as The Man. In Shadow Warrior (26:24) leading man Yu Rong-kwong talks about his stage and film career, from Peking Opera to kung-fu cinema, for which he had to learn the required fighting skills. He stresses the importance of Peking Opera training and effectively deconstructs the practicality of modern cinematic kung fu (the somersaults and jumps are for show), covering aspects of Iron Monkey in some detail. The interview is in Chinese with English subtitles. In Bewitched (25:21) supporting actor Li Fai (she plays Witch) talks about her martial arts training, her film career and her role in the film. This interview is in Chinese and subtitled in English. 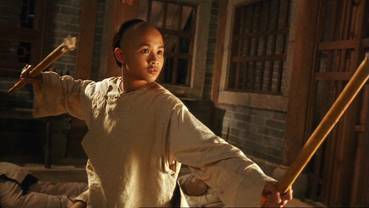 Finally in Role Reversal (19:59) Tsang Sze-man looks back at her role as the young Wong Fei-hung, her only stint at film. She talks about how she landed her part in the film ("By mistake, I think") and about her work with the actors and the director, as well as the experience of playing such a role at a young age. Just why she never made another film remains something of a mystery, however. Promotional Archive features an Animated Production Photo Gallery (2:45), which is not exactly animated in the true sense of the word, just some rostrum camera moves over a selection of production photos, set to music from the film. The Original Theatrical Trailer (4:45) may run for nearly five minutes, but over a minute of that is taken up with company logos. The UK Promotional Trailer (2:00) gets straight down to business and is in spanking shape, though voiced-over by Trailer Voice Man. The UK Platinum Campaign Trailer (2:28) is virtually identical to the promotional trailer, complete with that voice-over, but with some added stuff about the DVD. The UK Campaign TV Spot (0:35) includes promotion for the VHS release (remember that?). There are four Featurettes, though the first two are pretty much identical in style and structure to those found in the Interviews section and are essentially more of the same. They kick off with A Dragon Re-Born (19:36), in which Donnie Yen looks back at his role in the film and his interpretation of a character that already had a genre history. The interview is in English, and sunglasses, and includes footage of a promotional photoshoot, at which Yen waxes lyrical about the influence on rap music. In Iron Fist (16:01) action director Yuen Cheung-yan traces his martial arts and movie experience, from his time with Beijing Opera to his work on this film. This is in Chinese with English subtitles. Shadow Boxing (8:11) sees top stuntman Alex Yip demonstrating some fight choreography and stunt work against a wall of mirrors, making it virtually impossible for the crew to stay out of shot. Rounding this section off is Floorshow, a nice inclusion that consists of footage of Li Fai and Tsang Sze-man competing at the 2003 Wu Shu Championships in Macau, glimpses of which were included in their interviews. This is broken up into two sections, Classical Sword Forms (9:10) and Tai Chi Form (6:39). Last of all, Information Library has notes on the film and detailed biographies for Donnie Yen, Yu Rong-kwong, Tsui Hark and Yuen Woo-ping. A must for kung-fu fans and a good way for those who have come to the genre via the likes of Crouching Tiger to really get their generic feet wet, this Platinum Edition release showcases the film very nicely, and as part of Hong Kong Legends' upcoming 'Epic Action' box set is an absolute steal, packaged as it is with Wing Chun and Tai Chi Boxer. If you haven't already picked this up then now could be the time. * The character of Wong Fei-Hung is a legendary figure in kung-fu film history, being central to the Once Upon a Time in China series, which was also produced by Tsui Hark and with action sequences choreographed by Yuen Woo-ping, and played by genre star Jet Li. In this respect, Iron Monkey can be seen as a prequel to those films.